Connect, Release, Breathe & Embrace! Join me for a peaceful, relaxing and healing week in Ireland for daily yoga, meditation, wholesome delicious food, nature and Irish culture. Come experience life on an island and explore Inis Mor beautiful historical sites at your leisure. Nurture you body, clear your mind and feed your soul with yoga, meditation, and a sacred healing practice designed to help you take an amazing inward journey. Food is made from scratch on-site by owner and chef Treasa. If you have any food restrictions please let us know when you register. 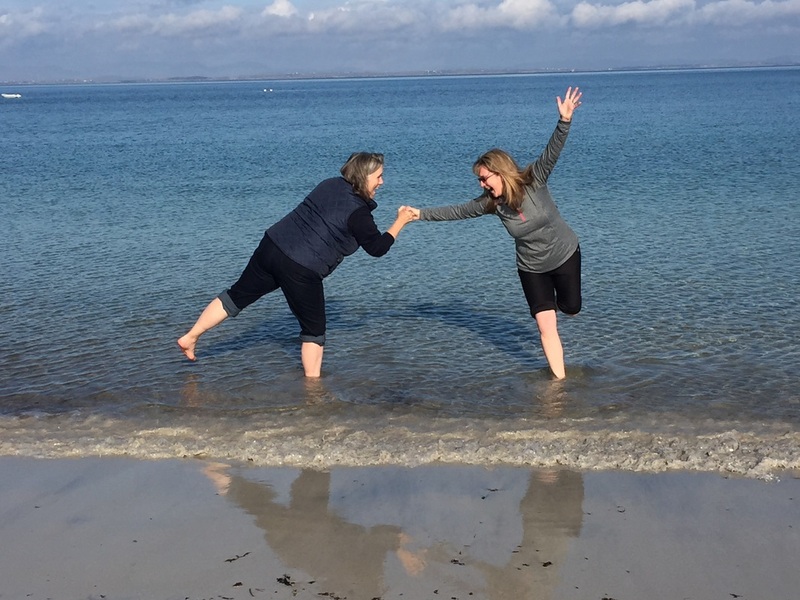 Above prices includes all breakfast and dinner, yoga, meditation, en-suite comfortable accommodation, guided tour of the island, Ferry to and from the island for the retreat and a shuttle bus from Galway city to the ferry in Rosaveel. Submit your non-refundable deposit of $500. Please note all payment most be received 4 weeks before retreat start date. Participants should plan to get the Monday morning ferry from Rosaveel and returning on the 5pm Ferry back to Rosaveel on Friday. A coach bus service leaves Galway city (Eyre Square area) 90 min before ferry departure. Unless other arrangements are made participants will be booked on both the coach bus and ferry in order to get you to the retreat. A shuttle bus will pick you up at the Ferry on Inis Mor and bring you to the accommodations. This is all arranged under your retreat. You may fly into Dublin or Shannon Airport. You may take City Link or Go Bus directly from Dublin Airport. There are many places such as hotels and B&B's in Galway City. Staying in the Eyre Square or City Center area makes is very easy for you to get the coach bus to the ferry Monday morning. You may explore hotel deals HERE!